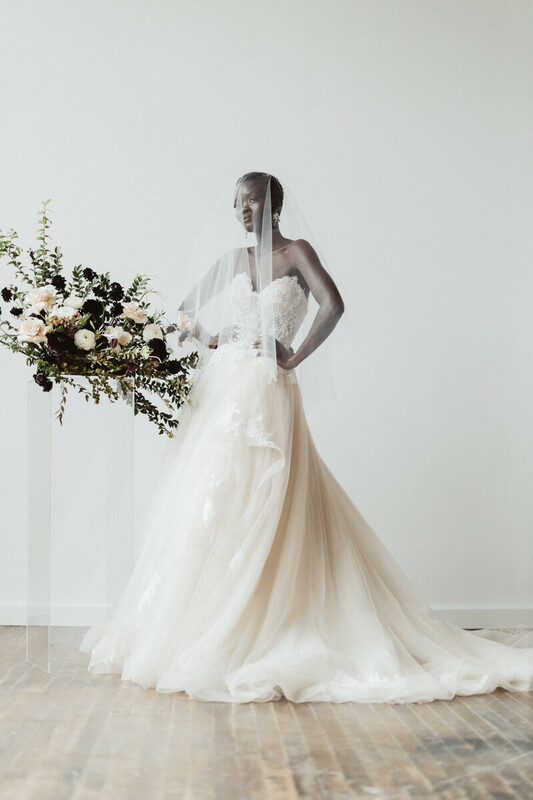 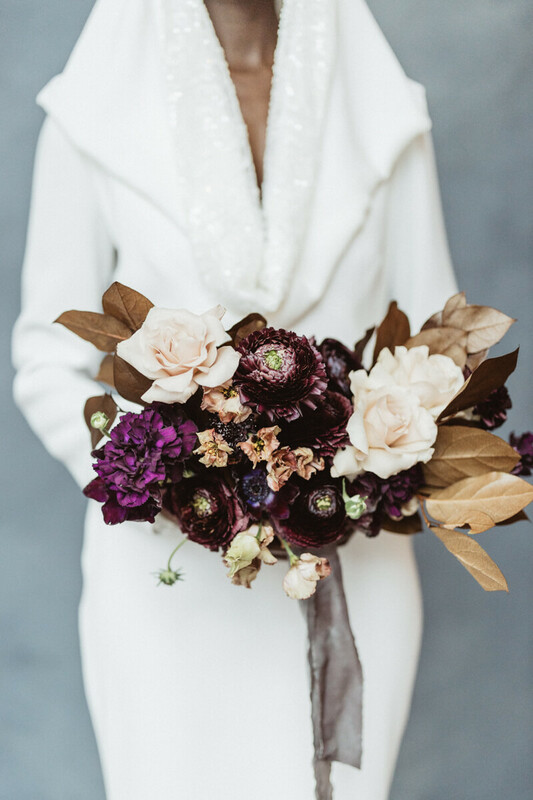 Eclectic and edgy – two words that epitomize this bridal shoot from a team of visionaries in Dayton, Ohio. 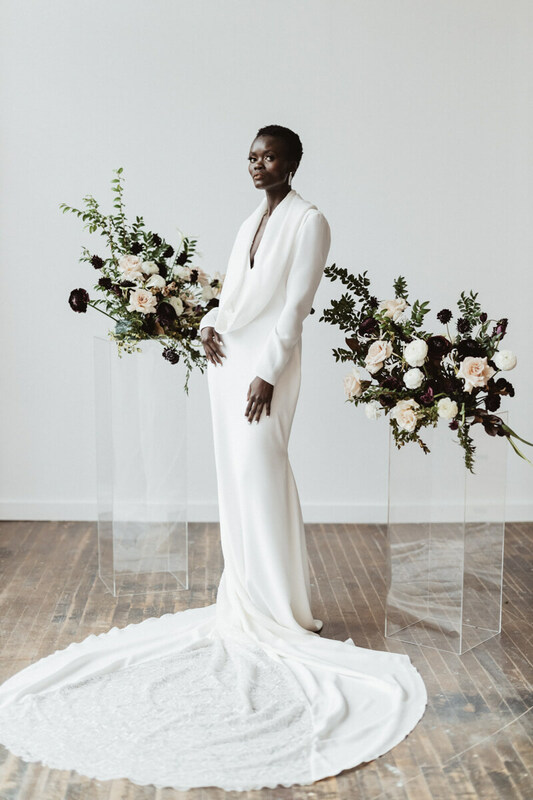 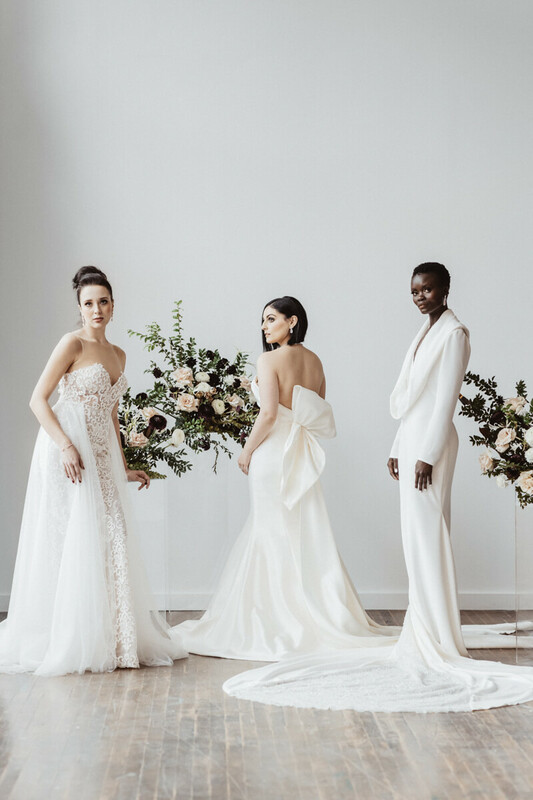 Modern bridal fashion with elegant themes laced throughout come together with bold, moody florals, statement accessories and a cool, confident bride whose expressions are as striking as her style. 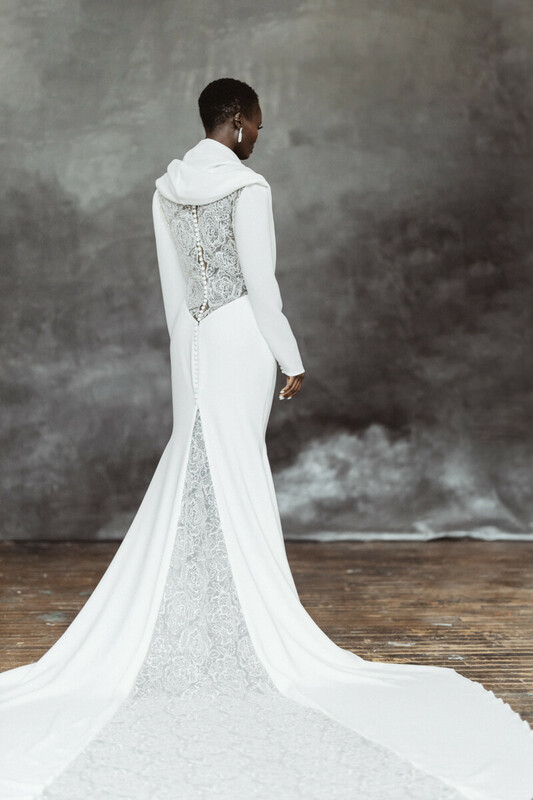 Between a transformative and embellished hood-turned-plunging neckline, lace-paneled train and a classic ball gown, this is a master class in 2019 bridal style.